Can anyone help us unravel the history of the open air school movement here? We think that there were perhaps three open-air schools in Newport. But perhaps there were more. "My mother taught at an Open Air School in the Brynglas area of Newport (South Wales) in 1946/1947. I was briefly a pupil there because of illness. Pupils were collected by bus that passed through the centre of Newport on the way to the school. I think that the school was open only in the summer months and was for primary ages. The school was in the grounds of a large house situated at the very top of Brynglas Road in Newport, with an entrance on the right about 100 yards north of Brynglas Avenue. I see on Google World that there is still a large house in that position with woods in the area where the Open Air School was situated. The land sloped steeply down to the River Usk on the East, there was no road on the river bank then. I believe that the large house was a senior school, I remember seeing big girls but then I was 7/8 years old at the time. The OA school was two large huts each with zig-zag windows that opened completely onto a hard court used by the OA school for baseball. One teacher, one assistant and someone must have prepared food too. Possibly up to 25/30 pupils, I think all boys." If you can help Michael with any information about the school, please let us know. Thank you. Beechwood House, in what is now Beechwood Park on Christchurch Road, was built in 1878 as the private house of George Fothergill who was a tobacco manufacturer and a former Mayor of Newport. 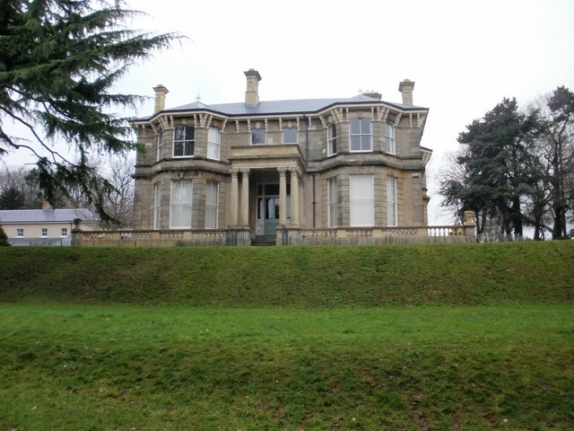 In 1900, Newport Borough Council bought the house and its grounds which it opened as a public park. In the First World War, the House was also used as a convalescent home. Beechwood House was occupied by American Forces during World War II and, after the war, it was used in a variety of ways including as a hospital for the treatment of tuberculosis, an open air school and a model railway club. "Building started on the school in 1939 with it being opened in 1941. The headline states New Open Air School - this makes reference to the cross-ventilation with ample indow space: 'the windows have been made so as to provide practically an open-air school.' Reference is made to the building: 'the school has five classrooms, a practical room, a reception or babies ' room, and a large assembly hall with stage." The school was (as at March 2014) running a memories project. If you can help with any information about any of the open air schools - or any others that were in Newport, please send me an email. Many thanks.